…or why is there a horse on your website page for a law firm? My job, and passion, is to help you understand what you want to do with your life’s work—your assets, during potential incapacity and after death. 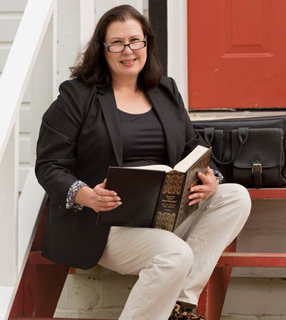 My goal is to help you understand all the different estate planning tools available to facilitate your wishes. Estate Planning is not a one time adventure…..as your life changes, so should your plan. I hope to become a trusted advisor to assist you now and in the future, making sure that the plans we put in place meet your goals, and help you feel confident that the Plan you and I created meets your needs. We all have different needs, goals and wants if we were unable to speak for ourselves due to incapacity or death. A great estate plan addresses all those variables. For example, you can tell from my website that I love animals. In addition to the magnificent horse (Dave, or his show name “Affidavit” if we are being formal!) 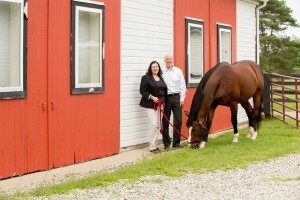 pictured with myself and my husband here, we have other horses, dogs, cats and sheep. If my husband and I were unable to care for them, it is very important to us that there be a plan in place to take care of their needs. Did you know that Pets are property and if you do not care for them they can be sold or otherwise disposed of by your heirs? It is not a shock that a law firm centered on a farm has a special love and knack for protecting animals. Many of my clients have treasured pets, , and we have created unique trusts to ensure that my clients’ pets are well-protected, even after their human’s death. There are a variety of ways to protect your pets, and we will discuss your goals, thoughts and ideas, and come up with a carefully crafted Estate Plan to protect your furry dependents. Sadly, although people sometimes say they will accept your pets after death, they may lack assets or ability to take your furry friends in when you pass. The only way to ensure protection of your fur babies is to make sure that your Estate Plan specifically provides for their care and who should be entrusted with them. What if you are incapacitated for a significant length of time….say 9 months? Does your estate plan make sure when you are able to come home, your treasured companion is there? Without adequate planning, the law does not take into account these special situations. Estate planning….it’s the best way to show your love and compassion for everything that means something to you!